Foreclosures in Miami Beach can be great opportunities for savvy buyers. While the number of foreclosures in Miami Beach has stabalized recently, there are some special deals for buyers who know how to navigate the market. The Forster Team has extensive foreclosure experience and can help you find and close a foreclosure in Miami Beach, especially for all-cash buyers and investors. 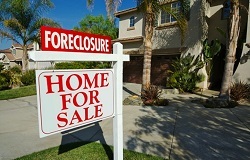 Considering a Foreclosure in Miami Beach? The data relating to real estate on this web site comes in part from the Internet Data Exchange program of the MLS of the Miami Association of REALTORS®, and is updated as of April 24th, 2019 at 10:54am EDT (date/time).